125 grams Raw Organic Freeze Dried Acai Powder, pure, no additives. Please note this product is packed in standup pouch with clip seal. 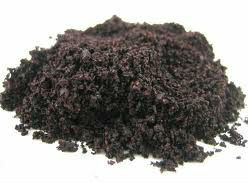 For more information, please visit our acai powder page. We can also deliver this item to EU countries. At checkout, you will be able to find the shipping options for EU countries. Shipping cost: if you are interested in this item, and would like to know the shipping cost, add the quantity into the "Add to cart" box, and click "add this to my cart" button. Then you will see a button "estimate shipping" in the shopping cart page. Clicking on this button, then you will be able to find shipping cost for your desired quantity.